Skilled pianist with over 18 years of experience. Have worked as a soloist, freelance musician, accompanist, and teacher. My experience makes me comfortable with learning large amounts of repertoire in a short time. I've worked as an accompanist for the Ambrose University Choir for 3 years, competed nationally, and performed both the Rachmaninoff Concerto No. 2 in C and Beethoven No. 4 Concerto with Orchestra. My passion and experience for performance makes me comfortable with a variety of venues and events. I completed my Bachelor of Music Degree in April 2017 and am currently pursuing graduate studies. 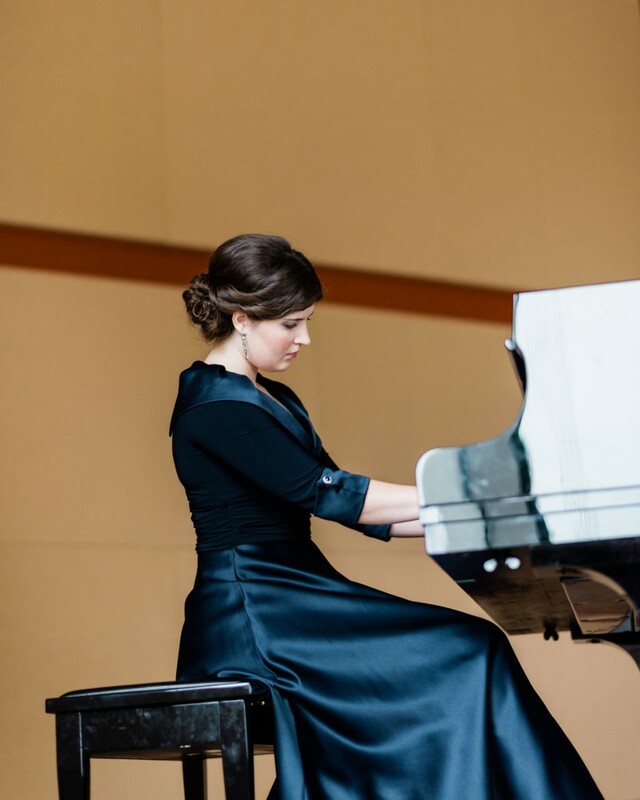 Located in Didsbury, Alberta, Marjorie-Anne Patterson is an accomplished pianist that specializes in performing beatiful music in a wide variety of genres for weddings and other special events. With more than 18 years of experience, Marjorie-Anne has mastered piano performance both on stage and in the classrooms, as she is currently working to earn her Masters in Piano Performance. Having experience in both Canada and Germany, recently attending a master class at the Rubenstein Academy in Dusseldorf, Marjorie-Anne is sure to provide professional and skilled service. Marjorie-Anne has experienced performing as a soloist or can come with extra accompaniment or musical collaborations. The services she offers include ceremony music, reception music, learning new songs, provides a set list of all songs to be performed and she is willing to take on short notice bookings and travel long distances. Among the music genres she can perform, you can find Classical, Pop, Rock, Country, Gospel, Dance, Folk, Top 40 and 50s hits. She is available to perform wedding music for both secular and religious ceremonies. Contact Marjorie-Anne today to discuss your event needs!